This Is The Comedy Magic Show Everybody Is Talking About! Do you want to make your event magical and memorable? Welcome to the legendary showmanship of Robert Baxt! Interactive comedy magic shows and entertainment for all ages! Hire A First-Class Corporate Or Children’s Party Magician! Your Guests Will Be Left STUNNED And Wanting MORE!! With of so many 5-star party magician reviews, Robert’s schedule fills up quickly; sometimes months in advance. Robert Baxt’s amazing magical feats and sharp wit make him one of the most sought-after magicians for kids’ parties on the planet. Robert Baxt is great with kids and knows how to hold their attention! He is one of the favorite kid show performers at the famous Magic Castle in Hollywood, CA. A children’s comedy magic show is a great birthday party idea. Robert is in high demand so reserve early and weekends book up really fast!! Discover Your Easiest Choice For Sophisticated Corporate Entertainment! Looking for Interactive and amazing illusions for adults? Whether it’s close-up strolling (roaming) magic or a big show, magician Robert Baxt elevates corporate party entertainment to a whole new level. Strong visual magic and comedy like you’ve never seen before! What are you waiting for? Magic Routines You Can Do! Learn easy to do magic tricks straight from Robert Baxt’s Professional repertoire. You not only receive the “secrets” you also get TONS of additional material and comedy lines to go with your new routines. If you are looking to add humor and magic to your performances, there is only one place to go. Throw A Family & Kids Party Worth Bragging About!! Hi, I’m Robert Baxt, Adult & Kid Party Magician. I’ve had the great pleasure of making people laugh and be amazed at my magic tricks and comedy for over to 25 years. I provide entertainment for all ages from two to toothless. I have different shows as a party magician for kids, family performer, and corporate entertainer. You Can Be Funny Too! Easy-To-Do Magic Tricks!! The classic plate spinning comedy show! This act can be customized for different groups, industries, and themes. Special plates can be used and the plates can represent different sales points, targets, motivations, or teamwork goals. Would you like your company event to be talked about for years come? Maybe you would like a walk-around close-up magician to liven up the gathering? With options to include corporate messaging and team building, this could be just what you are looking for. 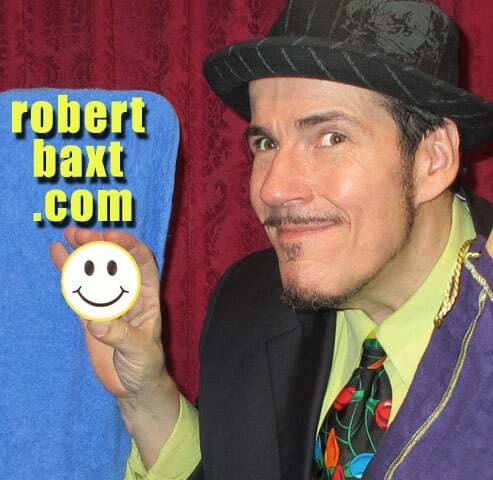 Bring the excitement and amazement with Robert Baxt’s unique and famous brand of magical comedy entertainment. Jokes, lines, and whole routines flow from the mind of this funny guy at an unbelievable pace. He’s been hired by David Copperfield to write jokes for his show; writing speeches for corporate executives, and come up with lines for performers in Las Vegas and Atlantic City. If you perform adult comedy magic shows or you’re a kids party magician, you’ll enjoy having something funny to say when you hire the Robert Baxt! Robert is also a master auctioneer and his quick wit, sharp instincts, and funny and fast-talking style can bring class and big bucks to your auction! 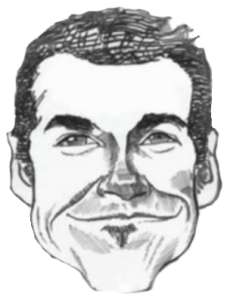 With his years of experience, he can give you tips and advice on how to make your auction more successful to maximize your profit potential Robert can also provide a short comedy show after dinner to get everyone in a good mood for spending money at the auction!